With Halloween on the horizon, it’s no surprise that marketers are embracing their ghoulish side. 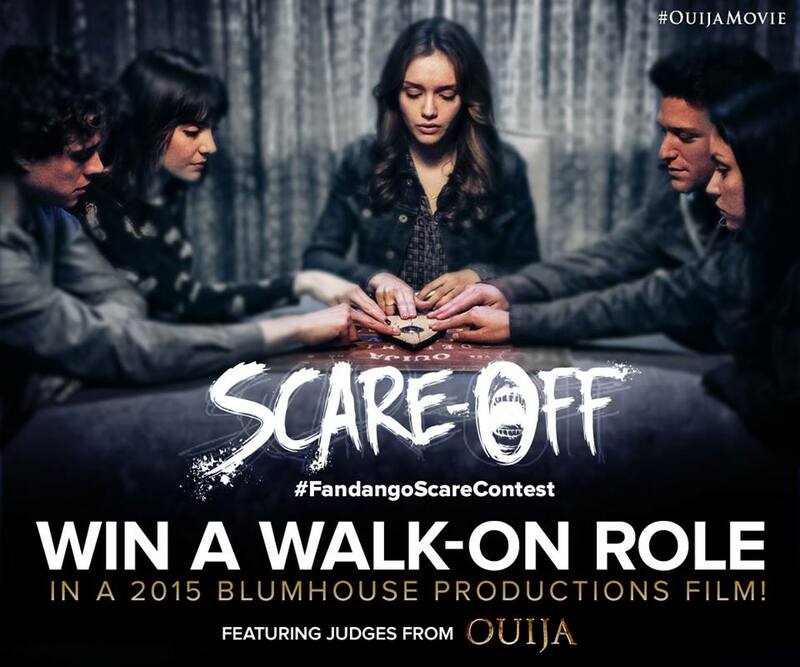 One such marketer, Fandango, is joining forces with the new film Ouija to host a “Scare Off” Instagram video contest inspired by popular horror movie moments. To enter, fans are challenged with creating an original Instagram video inspired by a favorite horror movie moment with the hashtag #FandangoScareContest. The prize? A chance to win a walk-on role in a 2015 Blumhouse Productions film, the production company behind movies such as Paranormal Activity, The Purge, and Ouija. Once fans enter, there will be a voting phase through October 27, where fans can support their favorite short Instagram horror film. The stars and producer from the new movie Ouija will also be included in the process. The winner will appropriately be announced on Halloween. Scroll through some of the videos on the dedicated microsite for the campaign and you’ll notice a few themes. The videos are a mix of spooky, scary and some even push the limits of what you might expect on Instagram. There are definitely a good amount with nods to specific horror films, plus others which are more interpretive. Overall, it’s really interesting and impressive to see what people came up with and produced as an entry to the video contest. So, what can marketers learn from this spooky fun campaign? While many marketers are looking to make their company relevant on Halloween, Fandango has an easy in – it sells movie tickets. While the company could have gone in many directions, aligning the Instagram contest with a new horror film was a nice way to add relevancy. For other companies, think through your brand values and audience to see what might be relevant for you, whether it’s a celebratory image, sharing behind-the-scenes visuals from your office celebration or other content that adds value to your audience. For occasions like Halloween, companies like Target have embraced DIY content that adds value, while Dunkin’ Donuts has hosted coffee cup costume contests. For B2B marketers, playing off “tricks and treats” for industry thought leadership seems to be a popular angle. Anytime you host a contest, prizing must be aligned with level of effort. Photo and video contests can generate fantastic submissions that tell a story and bring the contest to life in a way that engages a larger fan audience. The challenge is that these visual mediums require more skill to produce. If you’re asking for a lot from your fans in a contest, make sure the potential reward is worth the effort required to enter. Fandango and Ouija did a great job with this. What better way to reward horror film fans than a chance to win a walk-on role? This is a once-in-a-lifetime opportunity and certainly worth the time spent for the right person. Adding the option of fan votes offers another way to raise awareness for the promotion. Fans who enter are encouraged to share with their social media communities, tapping into the powerful word-of-mouth buzz around the contest. It also adds value, as not every person will want to enter the promotion, but many people will enjoy seeing what their friends put together. Hopefully some of the more gory ones won’t take people by surprise in a negative way! It is Halloween after all….